To create a "portrait" of a hero using cardboard. Carboard is an everyday material that we rarely consider. How could we transform this "throw away" material into something beautiful and interesting? What would it mean to draw or paint your hero on cardboard? Is that different than paper or canvas? Check out some of these artists' take on it. 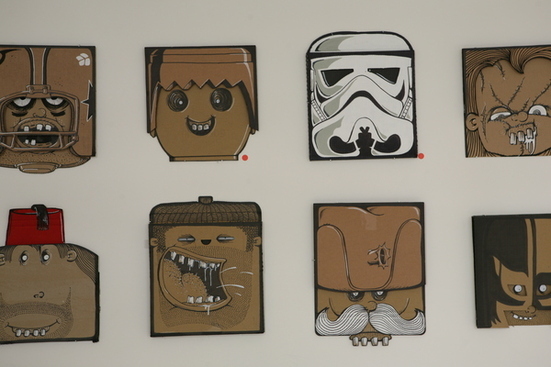 Click on this link to check out this guy's creative use of cardboard. Barry McGee & Margaret Kilgallen ||| Art:21 from Port Shy on Vimeo.